Today ONLY score a pair of these Women's New Balance Running Shoes for ONLY $29.99 (Retail $64.99). Take on your toughest run with the women's 420v3 running shoe. The IMEVA midsole revs up your routine with firm, yet flexible, cushioning and the upper features durable synthetic and mesh materials. The shoe also has a rubber outsole to give you an unbeatably smooth ride. 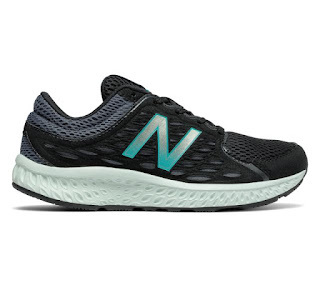 The women's 420v3 running shoe is designed to kick your run up a notch with comfort features like the NB Response 1.0 Performance Insert and a plush upper.